It is an interfacing tool tailored to work with the various entities involved with domestic pets, whether lost, found, or at home. Pet*iD is a platform creating a pet related network, capable of maintaining homeward and vet-managed medical information. Pet*iD has the ability to protect every domestic pet in the country, so no matter where a pet is found, it has a direct path home. Register the Pet You Love Now! 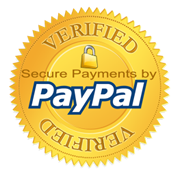 Here is what makes Pet*iD superior to any other pet registry. Because petid.com is the root domain name for pet identification, it is the common place to start looking for the owner of a lost pet. For this reason, we offer pet owners registered with Pet*iD the option to list any digital ID (ex:chip ID) they may have for their pet, making it easier and faster to get the pet back to it's parent. • Easy, no nonsense interface for all users. 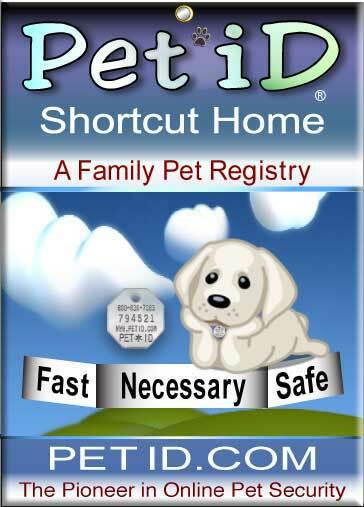 • Easy multiple pet management. • Total accessibility while traveling. • Verified Rabies vaccination; Have your Vet register your pet’s Rabies vaccination, and your Pet*iD tag becomes a Rabies tag too. 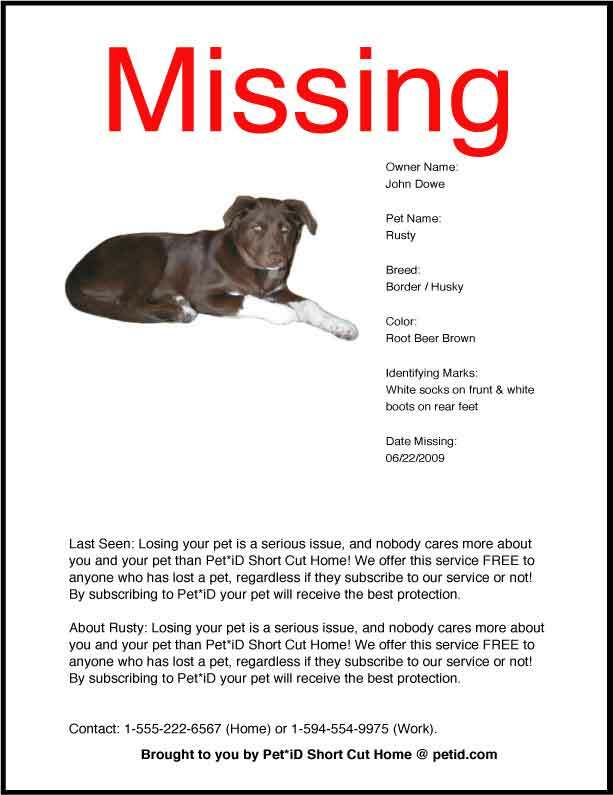 • Free real time PDF MISSING PET POSTER engine. FOUND PETS as well. • Free photo gallery program for nonprofit animal shelters. Pet*iD is a Global Pet Registry designed to accept any unique ID code, allowing Pet*iD to become a much needed central Pet Registry. Pet owners who use RFID chip implants can register their chip and easily keep their pet’s necessary information up to date for free with Pet*iD registration. 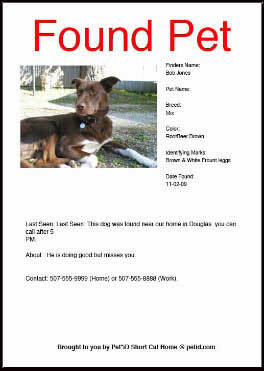 You can make an 8X11 MISSING Pet Poster, with your printerin 5 minutes. To use Click one of the images.